Hello everypony, Rainb0w Dahsie here! As the title says I'm looking to get back into my youtube fanfic readings and I need suggestions! And I don't mean the same fanfics we've all read a million times like Past Sins, My Little Dashie, Cupcakes, something something going out your door. You know, the ones that have thousands of hits. I want stories that nopony has read before. Good, well-written stories that never got the recognition they deserved. Heyyo, a fan by the name of Productive faffer wrote a little fanfiction/alternate ending kinda thing for Twilight's Royal Abby. I'm very pleased by this, so I thought I'd share it with y'all. It's a little snippet and not canon to the overarching Abby-verse, but it's definitely worth giving a look. I getting help now so NEXT STOP GET IT DONE! I finally decided to try writing and needed a prompt, so I asked for one. I got the words romance, Whirlwind, and spaghetti. The fic is spaghet tornado, go read for about 1,200 words of entertainment. Hey, hey you! So, uh... ol' Darkle has a reading now in progress by Skijarama over on his YouTube channel. So... you should go listen, Sombra commands it! But really, go give the guy some love (or likes if you prefer), he does a great job. So I was thinking that I could start a blog series where I review fan fics, and I want to know what you three think about it, would you like to see that. Comment your thoughts plz. Nova Quill has put down the digital pen for a moment and picked up the digital typewriter... or something. She's writing a collection of Dazzling shorts called Putting the Fun Back in Dysfunctional. If your a fan of my Dazzling stuff, I highly recommend checking her story out. Plenty of the girl's weirdness awaits! Okay so, I decided to sleep in today since the kid i watch doesnt come today, and I had the sickest dream ever dude and I think it'd be a good fic. So, Here´s a thing I tend to do with fics I´m writing, which consists in making a small "teaser" of sorts giving you a small part of the chapter I have already finished. The chapter is halfway through, so its probably not long before I release it. I decided to recommend a fanfiction! It's Letters From the Moon by IsabellaAmoreSirenix. Remember in my last post how I mentioned I dislike negative portrayals of Celestia? Scratch that. In this story Luna's fall is at least partially Celestia's fault and it is written exceedingly well. It is a completely heartbreaking and beautiful fic exploring the relationship between the Royal Sisters and their mutual redemption. Well, today I've finally taken the plunge and try to write my own Fanfic! Centered around everyponies favourite orange country mare! How this will work out, I have -no- idea! But thats part of what makes it fun for me. Throwing random things together, see what sticks and go from there. Well, lets hope it doesn't bomb to quickly huh? Just today, I finished proofreading Chapter 13, the final chapter of Volume 1 of The Lost Element. The first volume is ready for printing. I'll be looking into where and how to get it printed soon and will keep everyone updated. Any and all advice on how to go about it for a first-timer will be appreciated. Especially if it's started great? But as time go it's become less and less interesting up to a point when you said "Okay, that's it! I stop reading it right now!"? Sometimes it's because plot becomes stupid/boring or because the main character ended up boring/overpowered/turns into typical anime harem protagonist? For example, I really liked Hiver story about Blank Page - some random dude who ended up in Equestria and who tried to build a new life there. What am I talking about, I don't care. Now where was I? Oh, yea, right. I am getting bored of writing aascar. I've written only 2000 words in twelve days, if not less. I'm currently stalled out on the my Fallout Equestria fanfic, specifcally at a transition between two time periods in the first chapter. If anyone would like to help me out, it would be appreiated right now. I've also been busy with school and life as well. 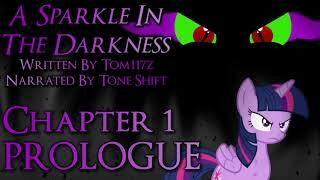 My first fanfic review since analyzing “Pony of Vengeance”, and my third overall. Man, I can’t believe it’s been so long. Anyway, I wanted to make my comeback to analyzing fanfics by reviewing a Fluttercord one-shot called “Hearts and Help”. Thanks to Spike, Discord has learned that love exists. Fluttershy has always believed in it, but somehow takes even longer to notice.